10 16 2008 Springsteen & Billy Joel together in benefit for Barack Obama at New York's Hammerstein Ballroom. 12 02 2006 Bruce joins two bands for songs at a Parkinsons Disease fund raiser at a club in Sayerville, New Jersey. 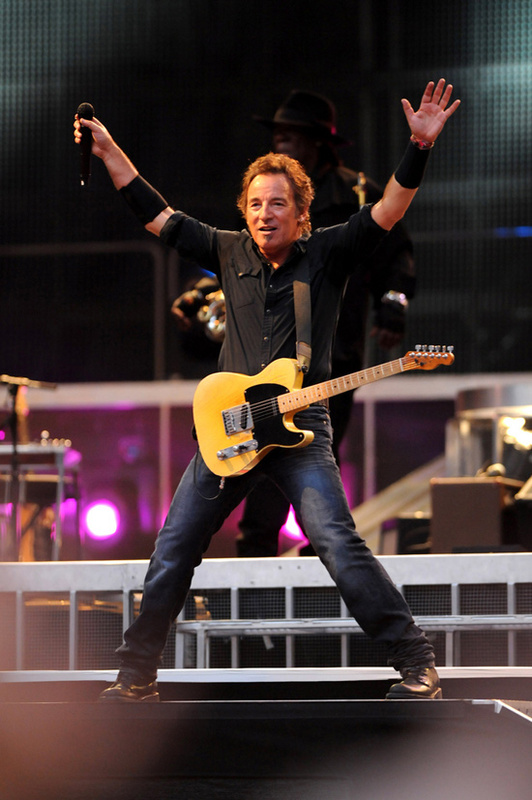 4 13 2006 Bruce Springsteen inducted into Freehold NJ Highschool Hall Of Fame. Mother accepts. 8 22 1987 Bruce joins Levon Helm at Stone Pony for "Up On Cripple Creek"
5 09 1974 Springsteen opens for Bonnie Raitt, Harvard Square Theater debuts "Born To Run"